Manufacturer of a wide range of products which include whey protein packaging bags, detergent packaging bag, fish packaging bags, biodegradable paper bags, dry fruits packaging bags and spices packaging bags. Protein powder was packed in plastic jars or containers in contemporary time period. But now a day people emphasizes more on to pack the protein powder in some high quality packaging solution. 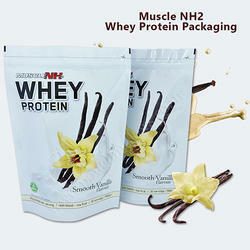 If protein powder is packed in high quality packaging bags, then there is no problem of leakage or breakage. Swiss Pack Pvt Ltd India offers protein powder/supplement packaging through incessant efforts of discovering latest technologies and the highest quality standards. 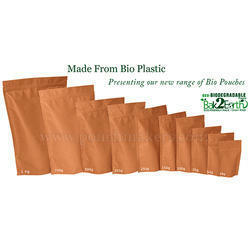 We have become one of the largest stock holders of whey protein packaging bags of various sizes and colors. All our products can be completely safe for your products. We provide sports supplement packaging solution which can be helpful to preserve purity and effectiveness. We are reckoned amongst the notorious organizations of a broad array of Detergent Packaging Bag.Our offered materials are highly applicable in detergent processing industries. These materials are manufactured using quality approved raw material and contemporary technology, in sync with industry norms of the industry. In order to ensure the quality of materials, our team of experts tests them on various parameters. 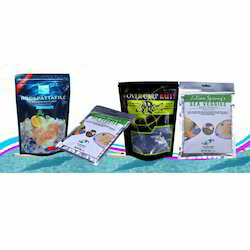 Our firm is counted amongst the significant names, offering a wide range of excellent quality Fish Packaging Bags that be used for fish packaging. These bags are designed and manufactured by our skilled professionals using quality tested material, procured from the certified vendor of the market and high-end technology as per the set industry norms. These bags are highly demanded and appreciated by our clients. These bags are offered in different sizes as per the needs of clients' within promised time frame. Spices are one of the popular commodities that require high moisture and oxygen barriers. 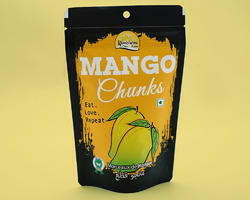 It is very much important that the spice packaging pouch retains the flavor of the spice products. 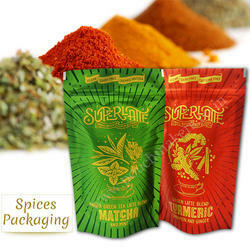 Swiss Pack provides high quality spice packaging bags which are helpful for sustaining the freshness of the spice products. We offer attractive yet reliable spice packaging for increasing monthly turnovers. This allows our spice bags to be highly appreciated by consumers. We also add degassing valves with our spices bags so that the fragrance and aroma of the spice products can be maintained for long period of time. 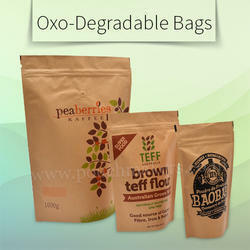 Gusseted bags, etc to suit the requirements of each product. Swiss Pac India is engaged in manufacturing and supplying various tea packaging solutions for the clients spread worldwide. Our organization has successfully expanded its business in the market owing to the offered elevated quality array of tea packaging bags. We utilize the advanced technologies and optimum grade materials for producing our bags of various sizes, colors, styles and textures. 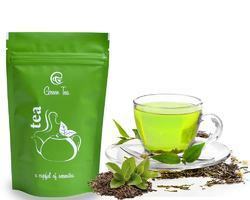 Our esteemed clients are able to avail these tea pouches at the most affordable prices. All these tea packaging bags are inclusive of various plastic films like LLDPE, BOPP, MET, PPE and PE with metalized or aluminium foil lamination, which provide flexibility and durability as well as elongate the shelf life of the products. 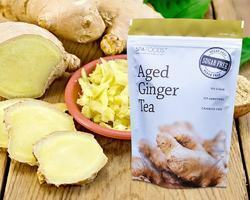 We also produce 9 colors custom printed tea pouches by utilizing the latest rotogravure technique. These pouches would be an effective marketing tool as they are available with company logo, brand name and other useful information about the products. So if you are searching for tea packaging solutions that can protect the tea products from moisture, oxidation and odors, then contact us and avail from us a wide range of flexible, durable and cost effective tea packaging bags. 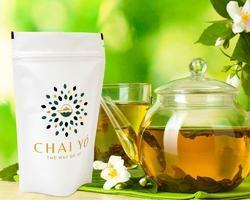 We are offering Chai Yo Tea Packaging to our clients. 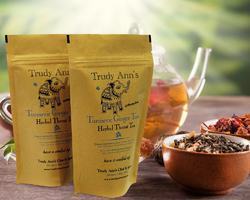 We are offering Herbal Throat Tea Packaging to our clients. 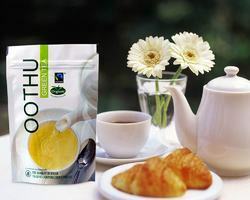 We are offering Oothu Green Tea Packaging to our clients. Salt is one of the hardest commodities to distinguish amongst your competitors and you are able to do this through the use of excellent salt packaging designs. However salt is easily tarnished due to different weather conditions. So you need to rely on the most effective and high quality salt packaging solution. 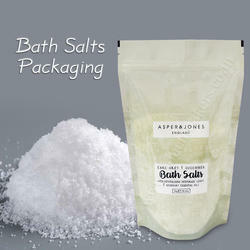 Swiss Pac manufactures salt packaging bags in different styles, colors, shapes and sizes. Salt packaging is shelf friendly, as it is space convenient. Swisspac India produces a digital printed pouches, In plastic we can get effect of matt finish, gloss finish, matt and gloss effect print. We offers transparent or clear window anywhere in pouch and in any shape like rectangle, oval, circular and square etc. 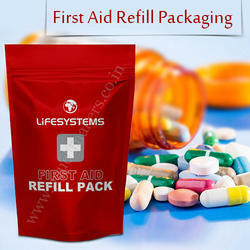 We are offering Pharmaceutical Packaging Bags to our clients. Rice Packaging Bags is one of the most predominantly consumed commodities across the world. We find various types of rice which vary in size, length and colours. Now a day it is needed to emphasize more on high quality rice packaging. Swiss Pac Pvt Ltd India provides rice packaging that offers your business with the competitive edge. We provide rice packaging bags which protect rice from contamination and preserves rice for longer period of time. It can serve as an effective promotional packaging too for your products and brands. We provide unique rice pouches with the help of which you can be able to differentiate your products as well as your brand from that of your competitors. We are offering Salt Bags and Pouches to our clients. Our firm specializes in providing a quality array of Mouth Freshener Packaging that is available in various colors and sizes. This packaging is designed by our skilled craftsmen using superior quality basic materials in adherence with market prevalent norms. Our offered packaging is highly appreciated by our clients for its striking features. 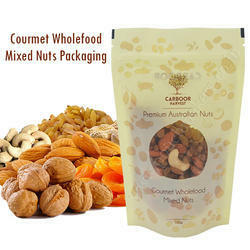 We provide the offered packaging form at market leading prices. 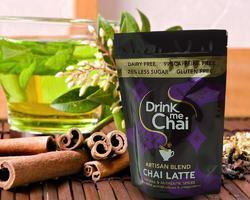 We are offering Drink Me Chai Packaging to our clients. 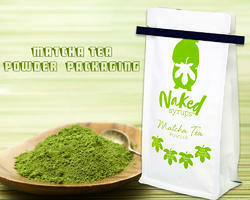 We are offering Green Tea Packaging to our clients. 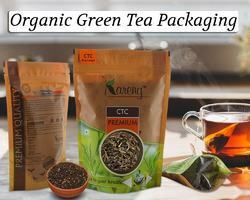 We are offering Organic Green Tea Packaging to our clients. We offer a high-quality range of Plain Paper Bags, designed and developed by our highly skilled professional at our well-equipped manufacturing unit by using superior quality of the paper. Our offered bags are available in various sizes and can also be customized to meet the diverse requirements of our valuable clients'. Mainly used for packing food and chemical powders, our clients can avail these bags within the stipulated time-frame from us. - Our bag capacities/weights are based on coffee beans. The capacity for other products may vary depending on their density. - Our all bags are heat sealable. We are offering Laser Scored Packaging Pouches to our clients.